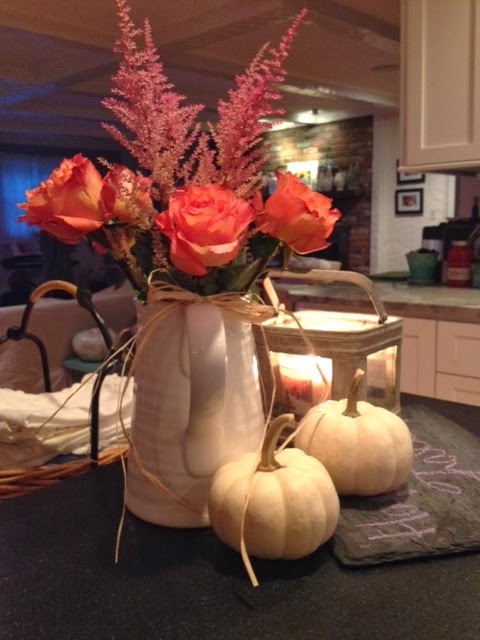 Love the color of these roses, warm scented autumn candle, and white pumpkins. Planning Thanksgiving...one of our favorite holidays to cook. Lots of family participation. We are test running the smoker this weekend so that we can smoke the Turkey again this year.